Telangana, herein after referred to as Teacher in these Rules. 3) These rules shall come into force with immediate effect. All transfers shall be made by way of Online/web counselling for each erstwhile district/existing zone. The Commissioner & Director of School Education, Telangana, Hyderabad shall draw the Schedule and communicate the Procedural guidelines and schedule for the online /web counselling to the competent authority. i.District Educational Officer(DEO) of the erstwhile Revenue District for the School Assistant/SGT and equivalent cadres. 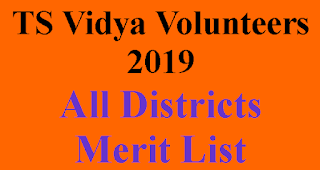 The District Educational Officer(DEO) of the erstwhile Revenue District shall consult the district educational officer of the newly formed 31 districts. 1) The following categories of Head Master, Gr.II (Gazetted) / Teacher in the Government / ZPP /MPP shall be transferred. (a) Head Master Gr.II (Gazetted), who have completed (5) years of service in a particular School as on 31 st may of the current year shall be compulsorily transferred, provided those who are going to retire within two years from 31st May of the current year shall not be shifted until and unless the incumbent requests for such transfer. (b) Teachers, who have completed (8) years service in a particular school as on 31st May of the current year shall be compulsorily transferred, provided those who are going to retire within two years from 31st May of the current year shall not be shifted until and unless the incumbent requests for such transfer. current year and working in Girls High School. 2) If no Head Mistress Grade II (Gazetted)/ Women Teachers are available to work in Girls High Schools, then Head Master Grade II( Gazetted) /Male Teachers who are over and above 50 years of age may be considered for posting to such Schools. 3) Head Master / Head Mistress Gr.II (Gazetted) / Teacher who has completed a minimum period of two years service in a category of post in a School as on 31st May of the current year shall be eligible to apply for transfer. 4) The Head Masters/Head Mistress Gr.II (Gazetted) who has completed (5) year of service and Teacher who has completed (8) years of service as NCC Officer, shall be posted in a vacancy in a School where there is NCC unit. Five (5) points for every year of service and 0.416 for every month. Three (3) points for every year of service and 0.25 for every completed month. Two (2) points for every year of service and 0.16 for every completed month. One (1) point for every year of service and 0.083 for every completed month. i. Category – I: All Habitations / Towns where 20% and above HRA is admissible. ii. Category –II: All Habitations / Towns where 14.5% HRA is admissible. iii. Category –III: All Habitations / Towns where 12% HRA is admissible. Note 2 : The District Collector shall publish the list of habitations in the district which do not have connectivity through all weather road as per the norms of Panchayath Raj ( Engineering ) Department in consultation with the Superintendent Engineer, P.R. of the district for this purpose, and the same shall be final. service in all categories as on 1st July of the current year. eligible for ten (10) points. Institution in the same District and opted for transfer nearer to and towards the place of working of his/her spouse, benefit of spouse points shall be applicable to the Head Master Gr.II (Gazetted) once in (5) years and Teachers once in (8) years. An entry shall be made in this regard in the Service Book. A copy of the Certificate issued by the competent authority shall be enclosed to the check list to consider cases under this category. d) Only one of the spouse is entitled for spouse points, if both are working as teacher or HM Grade II(Gazetted) in the same district. i. Applicants having disability of more than 40% but less than 70% (Visually challenged/ Orthohandicap/ Hearing Impaired) shall take priority. For 100% Results – 2.5 points. For 99% to 95% Results – 2 points. For 94% to 90% Results – 1 Point. Hearing Impaired has to produce SADAREM Certificate or Medical Board certificate. available only at specified places to which they are seeking transfers. g. Applicants with dependant children sufferingfrom Juvenile Diabetes. Note 1: For the purpose of (d, e ,f & g) above, a copy of the Certificate issued by a competent authority i.e., District Medical Board / State Medical Board should be enclosed to the application for consideration of preferential categories. Note 2: The Head Master/Head Mistress, Gr.II (Gazetted) should avail either the preferential category (Rule 8) or the special points (Rule 6 (II) (c) once in (5) years, and Teachers should avail either the preferential category (Rule 8) or the special points (Rule 6 (II) (c) once in (8) years, and an entry be made in the Service Book. 1) The following vacancies shall be notified for the purpose online web counseling in the specified website and also displayed in the O/o DEO concerned. 10. Notification of seniority list etc. ii) The School wise vacancy position of Head Master/Head Mistress Gr.II (Gazetted) / School Assistant / Secondary Grade Teacher and equivalent categories for web counseling. 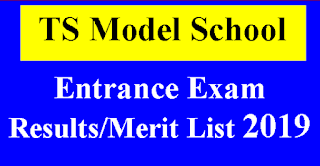 iii) Subject to the procedure prescribed in clause (2) below, the list of names of the Head Master/Head Mistree, Gr.II (Gazetted) / Teacher who applied for transfer with entitlement points. 2) After the last date for applying for transfers as per Schedule and validation of information Provided in the applications ny the competent authority , the seniority list shall be Generated by the web counelling software based on the entitlement points, management wise,District wise/zone wise, category wise, subject wise, medium wise (except Languages and HM s Grade-II (Gazetted)); area wise i.e, agency/plain area and the seniority list with entitlement points shall be displayed in the counselling website and also on the notice board of District Educational Office / Regional Joint Director of School Education Office concerned. 1) The Applicants have to submit only one application online in the proforma prescrebed in the web counselling website. 2) The Head Master?Head Misress Gr.II (Gazetted) / Teacher who is eligible as per the criteria prescribed in Rule 5 shall apply online through website specified for the purpose in the prescribed proforma and the particulars furnished in the proforma shall be final and no modification shall be allowed. 2) The applicants shall thereafter obtain the printout of the application from the specified website and submit the same duly signed to their respective authorities, viz., Mandal Educational Officer/Head Master/Head Misress of the High School as the case may be. along with application the latest Certificate from the competent authority in that regard. will be transferred to the available left over needy vacancies. may be filed online or in writing before the District Educational Officer / Regional Joint Director of School Education, as the case may be, by any applicant together with evidence in support of such objection within the time specified for this purpose in the Schedule. 2) The District Educational Officer / Regional Joint Director of School Education, as the case may be, shall cause verification of all objections and pass orders disposing of the same. In cases where objections are upheld, the District Educational Officer/ Regional Joint Director of School Education make the necessary corrections in the vacancy/ seniority list concerned and display at the o/O the DEO/RJD of school Education as the case may be. the Government High Schools in the respective Zone. 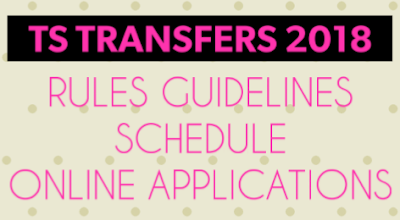 The transfer shall be affected within the Zone as generated by web counselling software. iii. The Regional Joint Director of School Education concerned shall be the competent authority to issue transfer and posting orders of the Head Masters/Head mistress Gr.II (Gazetted) working in Government High Schools, after the approval by the Committee. (c) Joint Collector – Member. (d) Chief Executive Officer Z. P. – Member. i. The Committee shall approve the transfer posting list of all Head Master/Head mistress Gr.II (Gazetted) in the ZP High Schools in the District as generated by web counselling software. ii. The Regional Joint Director of School Education concerned shall be the competent authority to issue transfer orders of the Head Masters Gr.II (Gazetted) working in ZP High Schools, after the approval by the Committee. (c) Chief Executive Officer Z. P. – Member. (d) District Educational Officer – Member Secretary. (a) Chairman, ZP – Chairperson. (b) Collector – Vice Chairperson . (c) Joint Collector - Member. (e) District Educational Officer – Member Secretary. Note: The District Educational Officer as per rule 4 shall be the competent authority to issue transfer orders to all the Teachers working in the Government Schools and ZPP / MPP Schools\ after the approval by the Committee III & IV above respectively. 1) The Teacher / HM,Grade-II (Gazetted) who are to be compulsorily transferred and who do not opt for web counselling, shall be given posting orders for the left, available needy vacancies at the end of the web counselling of that particular category of Teachers, after the approval of committee concerned by the competent authority. 2) Head Master /Head Mistress Gr.II (Gazetted) / Teacher shall not be posted in the Schools located in the same Gram Panchayat, if they completed (5) years and (8) years of service respectively. 3) Once transfer orders are issued by the competent authority with the approval of the Committee, review or modification of the Orders shall not be considered, either by the Committee or by the competent authority. 4) The transfers affected shall be displayed on website and also at the office of Regional Joint Director of School Education, District Educational Officer concerned. 1) The Head Master Gr.II (Gazetted) / Teachers who are on transfer shall be relieved from the present place of working on receipt of the transfer orders and he / she shall join in the new school where they are posted on the next day of serving of orders..
2) A Head Master/Head Mistress Gr.II (Gazetted) / Teacher who does not so join cannot claim compulsory wait under any circumstances for any reason. 1) An appeal against the orders of the District Educational Officer shall lie with the Regional Joint Director of School Education concerned, and an appeal against the orders of the Regional Joint Director of School Education shall lie with the Director of School Education. Such appeal should be submitted within 10 days. 2) All such appeals shall be disposed off by the Appellate authorities concerned within 15 days from the date of receipt of the appeal. 1) Anybody who has submitted false information and Certificates, and the officers, who have countersigned such false information, shall be liable for disciplinary action in addition to prosecution, as per rules. by Director of School Education from time to time in the matter shall be liable for disciplinaryaction as per rules.